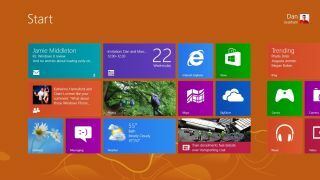 A US company is suing Microsoft is over its use of Live Tiles in Windows 8 and Windows Phone 8. A company called SurfCast has filed the suit over its patent #6,724,403 which is all to do with how content is organised and displayed. "The present invention comprises a graphical user interface which organizes content from a variety of information sources into a grid of tiles, each of which can refresh its content independently of the others. "The grid functionality manages the refresh rates of the multiple information sources," the patent reads. It sure sounds a lot like Live Tiles – and Surfcast is after recompense for any Windows Phone 7, Windows Phone 8, Windows 8 and Windows RT device using them. But Microsoft's been showing off bits and pieces on device homescreens using its dynamic tiles since Windows Phone 7 launched in October 2010; why is Surfcast suddenly all up in Microsoft's grill over it now? It's all to do with the Microsoft Surface and the potential payout that Windows 8 will afford, given that Windows Phone hasn't exactly made anyone a bundle. Surfcast also says Microsoft is encouraging other companies to infringe its patent by urging devs to build app tiles for the Windows Store and allowing manufacturers to sell Windows 8 and Windows Phone devices. We don't expect to see this result in multiple years' worth of litigation between the two companies a la Samsung vs Apple – as The Verge suggests, Microsoft will likely settle with Surfcast out of court and we can all move on.